Did you know that you could probably get your bangs trimmed for free? “I don’t charge my clients for a bang trim if I did their original haircut,” explains Theodore Leaf, Suave Professionals celebrity stylist, whose clients include Taylor Swift and Heather Morris(at left). Ask your stylist what his bang touch-up policy is and, if it’s not free, it’s probably only a nominal fee. Eyeshadow palettes loaded up with lots of shades are all the rage in beauty stores. Not only kits a great value to begin with, but if you learn how to make some shades multitask, you can save even more by not having to buy other products. For example, makeup artist Sonia Kashuk, uses her Instructional Eyeshadow Palette in Eye on Neutral, to revamp and entire face. “The 12 matte, neutral eye shades can be used to create a range of gorgeous eye looks, while simultaneously doubling as highlighter, eyeliner and brow filler,” she says. “You can save a great deal of money, not to mention stress, by doing your own hair for a special event instead of going to a pricey salon,” says Leaf. Here’s an easy one: Create a classic top knot bun like Lauren Conrad‘s with a hair donut (available at beauty supply stores for as little as $2.50!). Pull your hair into a high ponytail, slide the tail through the center of the donut, then spread your hair over the donut, wrapping it completely around the edges. Mist with hairspray and lightly tease to build texture, then pin the edges under and you’re ready to go. Sure, we all love to splurge on beauty products, but if your budget doesn’t allow it, don’t think you won’t get amazing results from drugstore brands. In fact, one of the most recommended cleansers regardless of budget restraints,Cetaphil, says dermatologist Dr. Susan Stuart. “All you need clean your skin each morning is a simple, inexpensive, gently cleanser. It’ll clean you skin and also help your makeup go on smooth and stay on longer. “I’m shocked when I see friends apply product because they overwhelmingly use way too much,” says Leaf. Read: You don’t need an entire palm full of shampoo and conditioner to get the job done. In face, a nickel size amount is probably enough. Same goes for styling products. Another way to stretch our your hair products: Shampoo every other day and your products will last twice as long. It may seem obvious, but the easiest way to extend the life of your beauty products is to put the lids on tightly after each use. “Your products have caps on them for a reason. Liquid and cream products will dry out quickly when exposed to air and then they can spoil from bacteria or loose their effectiveness,” says Kashuk. 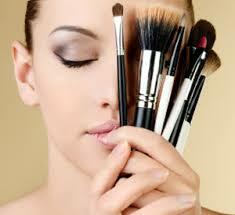 A great way to save money is to invest in multi-purpose beauty products. Moroccan Oil is great as a styling product, but it can also be used as a conditioning treatment, says Leaf. When it comes to your makeup, try a lip color that can also be used to give cheeks a stunning, natural flush, says Kashuk. A smart way to save money on products and to get hair that’s shiny and beautiful like Minka Kelly’s is to make your own at-home mixtures. The ingredients usually cost about half the price of what a finished product would. “A great way to clarify your hair of oil and product build up is by diluting 2 tablespoons of apple cider vinegar into 1 cup of water and using this mixture as a shampoo,” says Leaf. Sometimes there’s just not enough time to get that quality shower time you need (like, say, the morning after a night on the town). If you don’t have dry shampoo handy, the age-old baby powder trick is effective in a pinch and super-cheap. Apply powder to roots and brush it out 5 minutes later to remove excess oil, says Leaf.